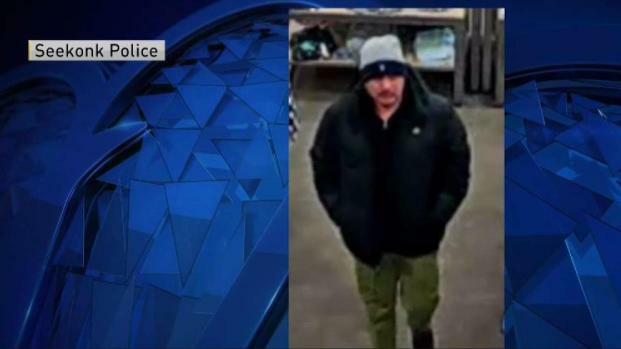 A Rhode Island man has been arrested and charged with exposing himself to three teenage girls earlier this year at a Target store in Seekonk, Massachusetts. Eduardo Ramos Villagran, a 39-year-old Central Falls resident, was spotted Monday night in East Providence. Police there notified the Seekonk Police Department that he matched the description of the man caught on surveillance footage March 20. Officers and detectives from Seekonk responded, and Villagran agreed to go with them to Massachusetts for questioning. Police say Villagran admitted to being at Target on the day in question, confirmed he was the one caught on camera and still had a receipt from the store dated March 20 in his pocket. He was arrested on three felony counts of open and gross lewdness. After the incident, police had shared the surveillance photos and a sketch of the suspect. The three teen victims had gone to the police department to report the man, who appeared to be watching them from a distance. The teens became wary of the man and went to a register to check out, at which time the man was still watching them. The incident happened Tuesday night in the parking lot of a Target store at 79 Commerce Way. As the girls were getting in their car, they saw the man in front of their vehicle, about 20 feet away, according to police. The teenagers reported that the man exposed himself to them. Authorities said the girls screamed and threatened to call police, at which point the man fled the scene. Police are concerned this might not be an isolated incident and would like anyone with information to call 508-336-8123.